Here are just a few for your review and knowledge. 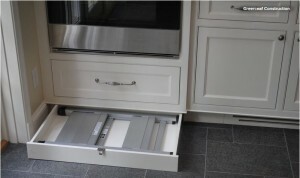 Surprise…lots of empty space for drawers in toe kicks and all you do is use your toe to open as this is a touch latch opener. 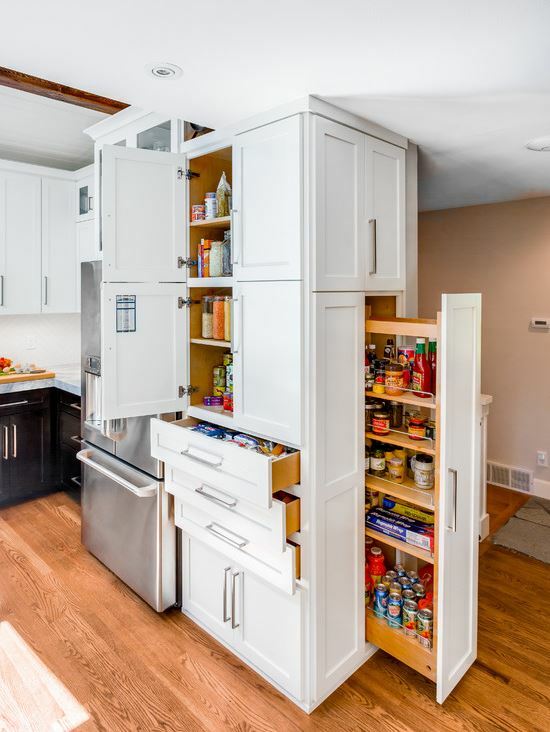 Convenient pullouts at eye level for easy access. Use shorter end drawers for “junk drawers” cause we all have them. Use end panel to create an inside chalk/erase board, cork board, key holder and organizer. 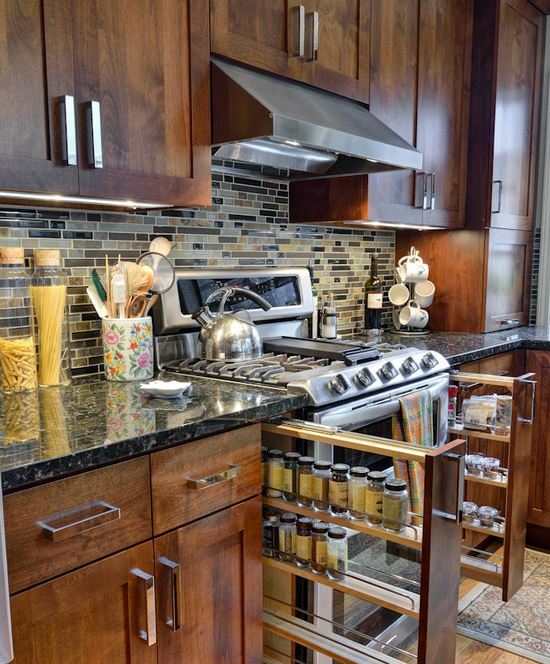 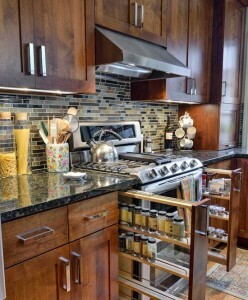 Spice rack pullouts for the most easiest convenience ever as they are right where you use them. 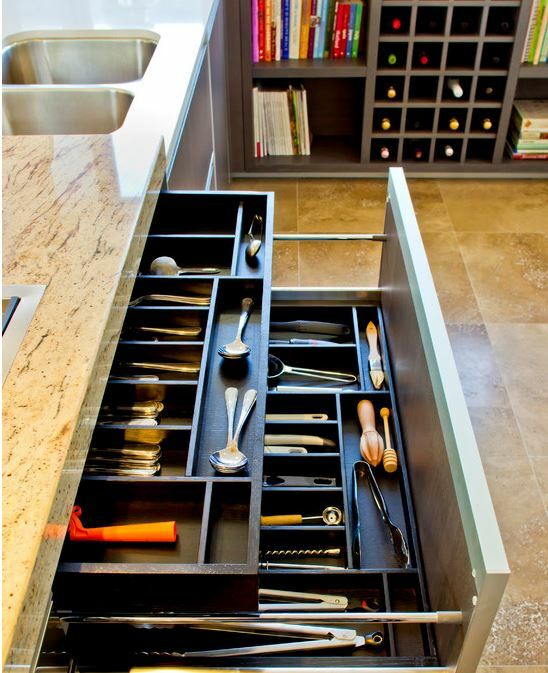 Pullouts and drawer storage are so convenient. 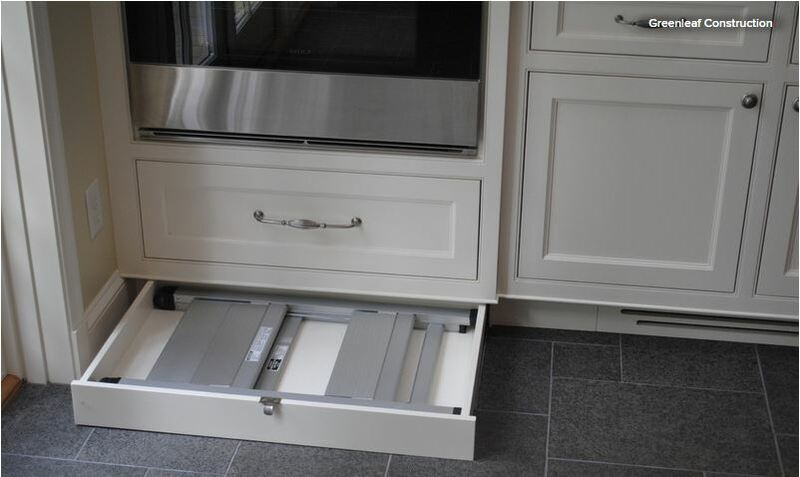 Trash pullout, lower storage pullout and drawer pullout with full extension glides and easy on the back. 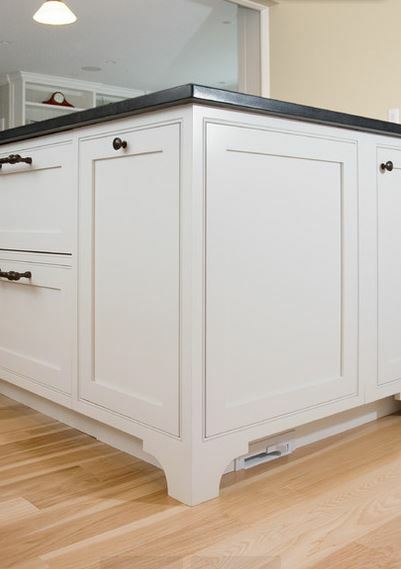 No more stooping. 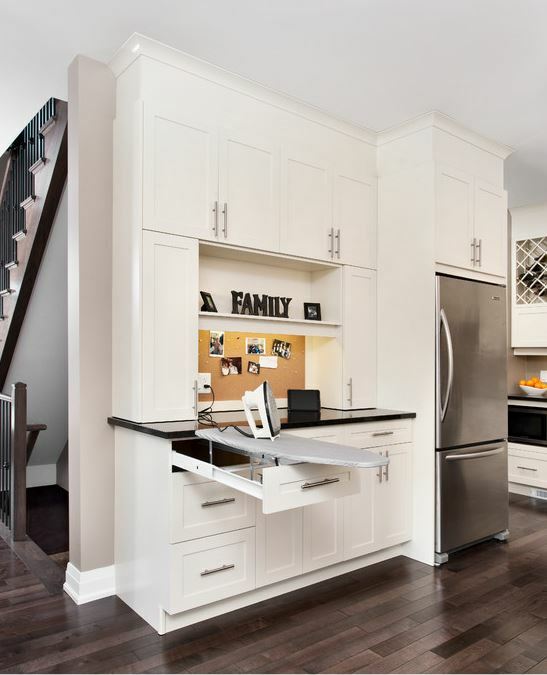 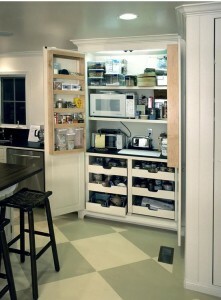 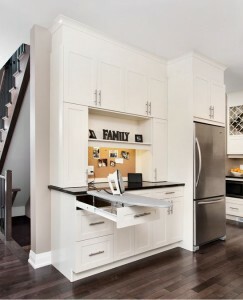 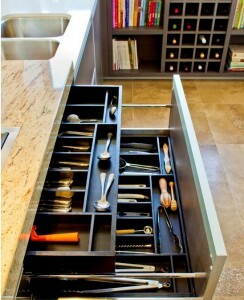 Easy glides with full depth extension also some can have double stack interior drawer to keep organized with dividers. 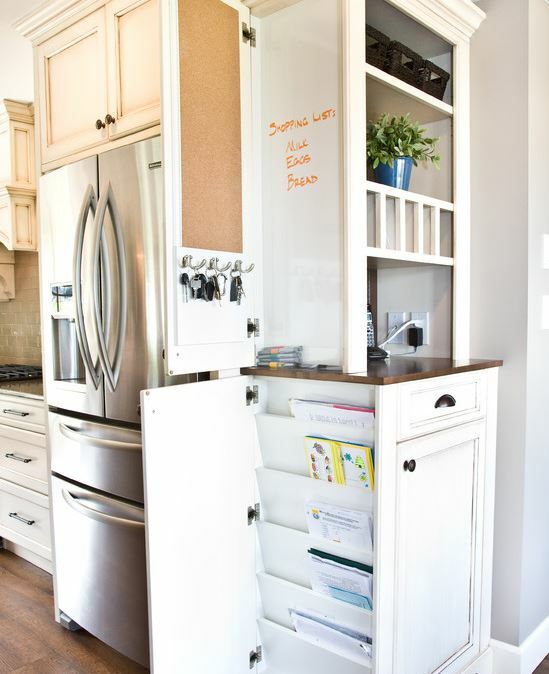 Hidden Ironing board with desk and organizational unit. 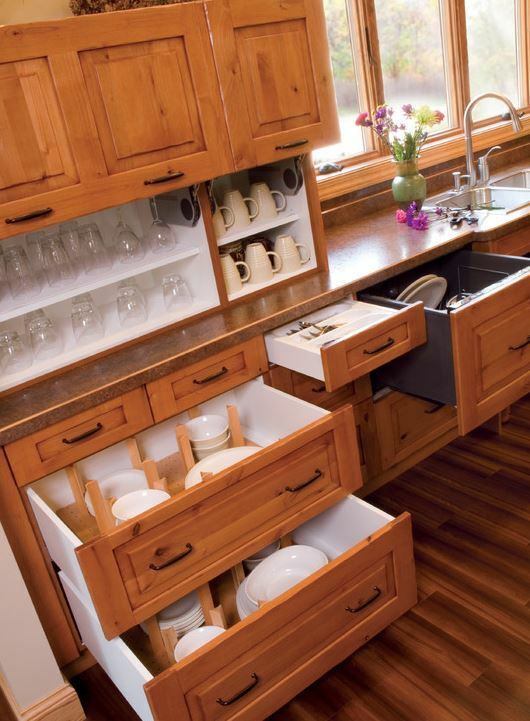 Drawers are better than doors on the bottom cabinets. No bending and searching. 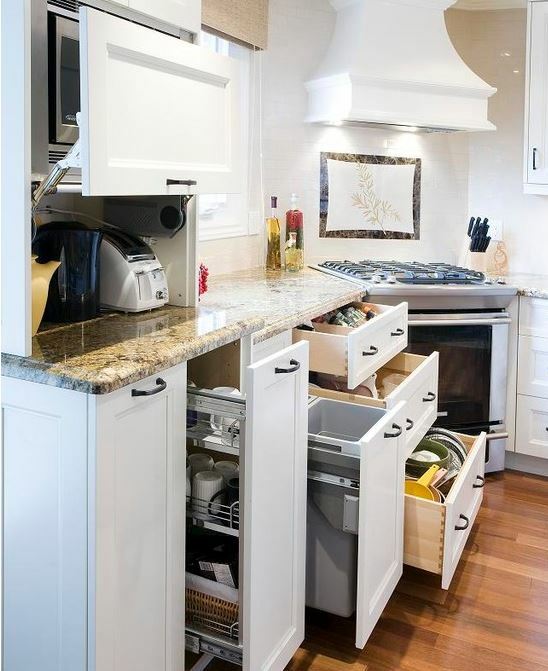 These have dividers for plates and cookware.